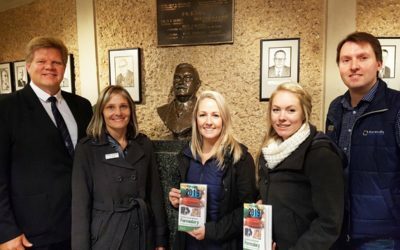 The chairman of the SA Veterinary Foundation, Dr Joubert Viljoen, recently addressed the BVSc V student class at the Onderstepoort Veterinary Faculty. 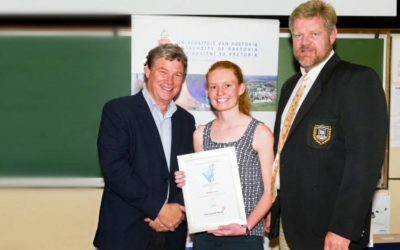 Foundation sponsorship for students includes the bursaries, prize for the best student in Small Animal Clinical Studies at the end of the 4th year as well as giving the final year clinic students a BSAVA formulary to assist them with their drug selection and dosages in the final year. 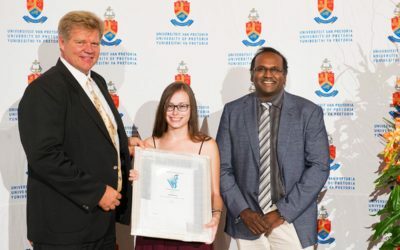 The 2018 bursaries were co-sponsored by Lakato, the leading veterinary pharmaceutical wholesaler in the country and Mercantile Bank, each co-sponsoring a 4th and 5th year bursary. 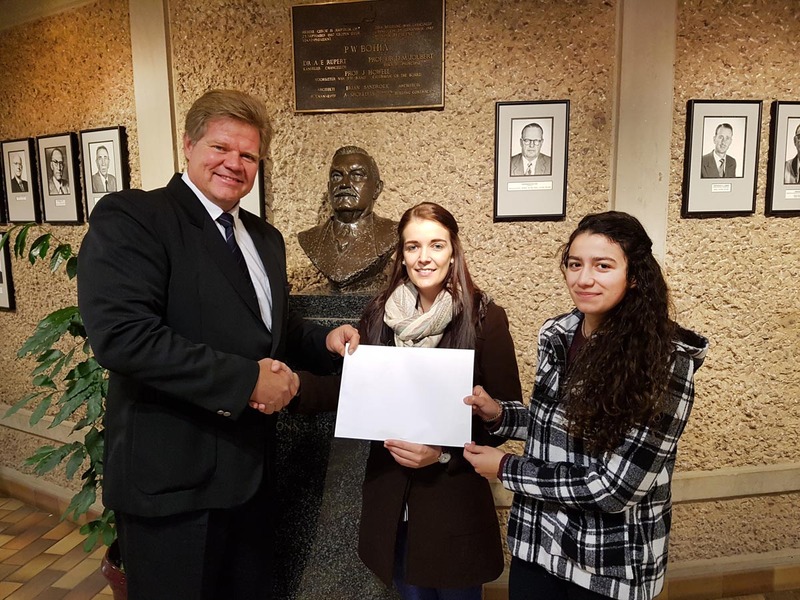 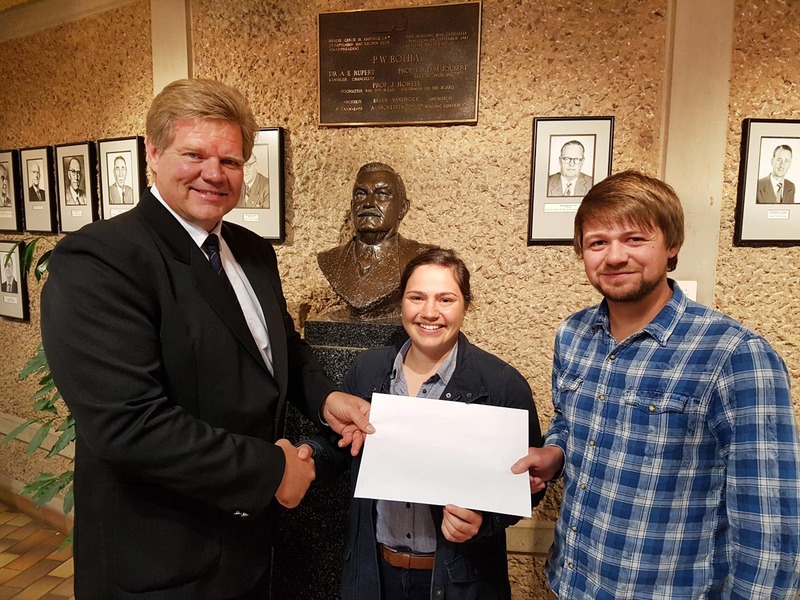 In the photos Dr Viljoen hands over the bursaries to 4th year students Joanet van Zyl and Natalie Ferreira and in the second photo the 5th year students Maranee Botes and Willem Bester receive their bursaries.